When it comes to turf management, finding the right lawn mower for your specific set of needs is essential. As with most things, a lot of the turf care equipment that’s available for commercial and residential use has been developed for certain applications. For instance, you wouldn’t use a ride on mower for a small area of grass, just like using a push mower for a large commercial space would be inefficient. If you’re looking for mowers in Perth, you’ll probably also get inundated with brands to choose from, which make choosing a lawn mower even harder. You not only have to consider which type of mower you need, you’ll also need to think about which brand offers the best value for money. 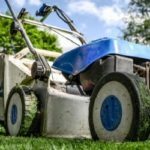 To help make your purchasing decision a little easier, here, we take a look at the different types of mowers and some of the more reputable brands that are available for sale, both new and second hand, in Perth. The first thing you should think about when purchasing a lawn mower, is what you need it for? For general-purpose usage, a domestic rotary lawn mower will wield good results. This type of mower is available in a conventional walk-behind mower, ride-on mowers or a zero turn mower. In sporting applications, such as golf courses and tennis courts, you’ll need a mower that allows finer control over the blade height. Toro are a leading supplier of walk-behind mowers, lawn tractors and zero-turn mowers. This particular brand of mowers has been optimised for use on fairways, trimming surrounds and for general green maintenance. This company makes professional ride-on mowers, sweepers; flail mowers and utility articulated loaders. The range includes zero-turn mower designs that reduce manoeuvring time, as well as a range of attachments that assist with maintaining artificial grass. Gianni Ferrari mowers have also recently introduced the world’s first factory designed and fitted air conditioned cabin to a dedicated grass collection mower, known as the Turbo Cruiser. Peruzzo supply flail mowers that are suitable for heavy-duty commercial and horticultural applications that come with detachable collections and verti mow technology. This supplier provides a large selection of ride on mowers that are suitable for use around the home. If you’re still unsure which type of lawn mower is right for you, our team is made up of two qualified Golf Course Superintendents and a qualified Greens Keeper, all of whom can help you find a mower that suits your needs. Here at T-Quip Turf Equipment Solutions, we specialise in new and second hand lawn mowers Perth. We can also assist with any lawn mower repairs in Perth, as well as a host of other turf management products. To learn more about the options available to you, contact us today!